Product prices and availability are accurate as of 2019-04-19 18:53:53 UTC and are subject to change. Any price and availability information displayed on http://www.amazon.com/ at the time of purchase will apply to the purchase of this product. 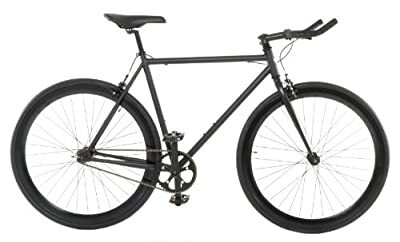 The Vilano EDGE is a stylish urban fixed gear bike. It features 45mm Deep-V Anodized wheels with matching anodized hubs. 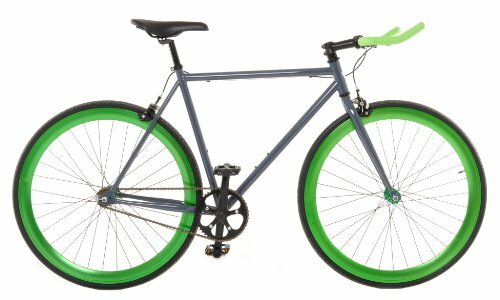 The rear hub is flip-flop with a freewheel and cog, this allows you to quickly change from single speed to fixed gear by simply flipping the rear wheel. The urban geometry frame and straight fork are TIG-welded high tensile steel. We've also included 28c tires for increased contact and control in urban settings. Features: Fixed gear or single speed (flip-flop hub), Urban geometry 700c tig-welded Frame and Fork, Forged Alloy Crankset with 46T replaceable chain ring, 45mm Double Walled Deep-V Anodized Wheelset with matching Anodized Hubs; Free Platform Pedals Included; Full Specifications- Frame: Fixed Gear/Single Speed 700c Hi-tensile steel; Fork: 700c 1 1/8" Threadless; Crankset: Forged Alloy with replaceable 46T Chain ring; Chain: KMC Z410 1/8"; Cassette: 16T Freewheel & 16T Fixed; Hubs: Flip Flop; Rims: 45mm Deep-V profile Anodized; Tires: 700c x 28c; Brakes: Alloy Caliper Front & Rear; Handlebar: Alloy Riser; Saddle: Urban; Seat post: Alloy 25.4 x 300 mm; Stem: Alloy 7 deg. ; Pedals: Free Platform Pedals. 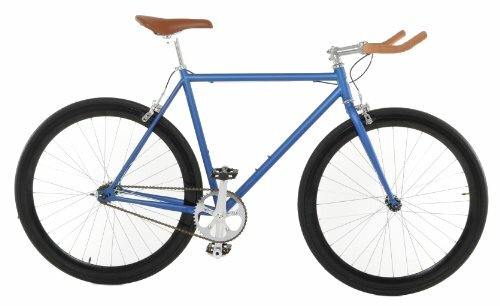 The Vilano EDGE is a stylish urban fixed gear bike. It featues 45mm Deep-V Anodized wheels with matching anodized hubs. 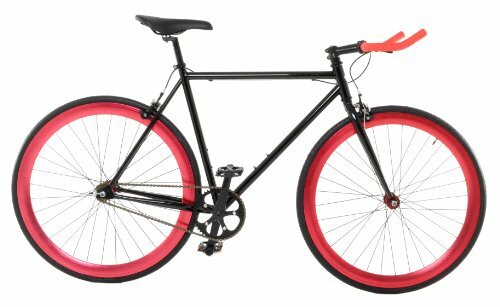 The rear hub is flip-flop with a freewheel and cog, this allows you to quickly change from single speed to fixed gear by simply flipping the rear wheel. 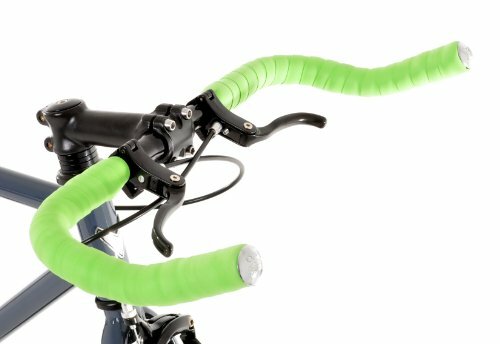 The urban geometry frame ans straight fork are tig-welded high tensile steel. We've also included 28c tires for increased contact and control in urban settings.